The perfect dining table for smaller spaces, the Bent Small Dining Table from Moe's Home Collection ensures you won't have to sacrifice style for function. This sleek, awe-inspiring dining table boasts solid acacia wood construction for amazing quality. 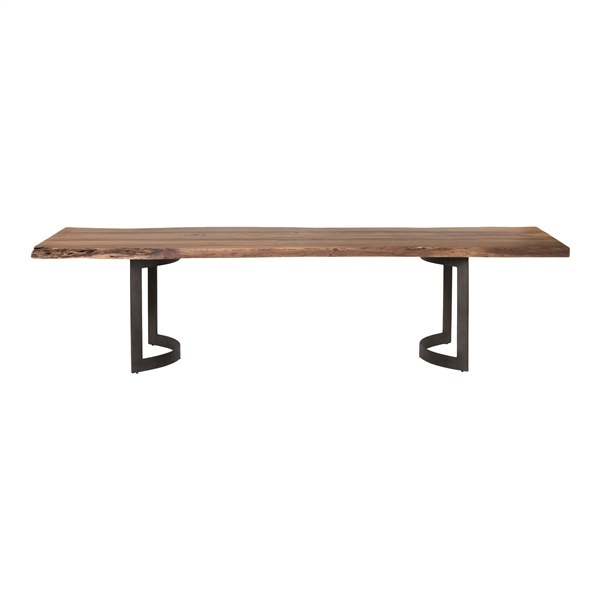 In addition, the table features unique bent iron legs for immense stability as well as a spacious rectangular tabletop. Pick up a dining table that is constructed to last with the Bent Small Dining Table. Bent iron legs are both unique and versatile. Solid acacia wood construction guarantees long-lasting quality. Classic rectangular tabletop offers ample space. Timeless appearance ensures the dining table will serve as a great choice in a modern or traditional setting.